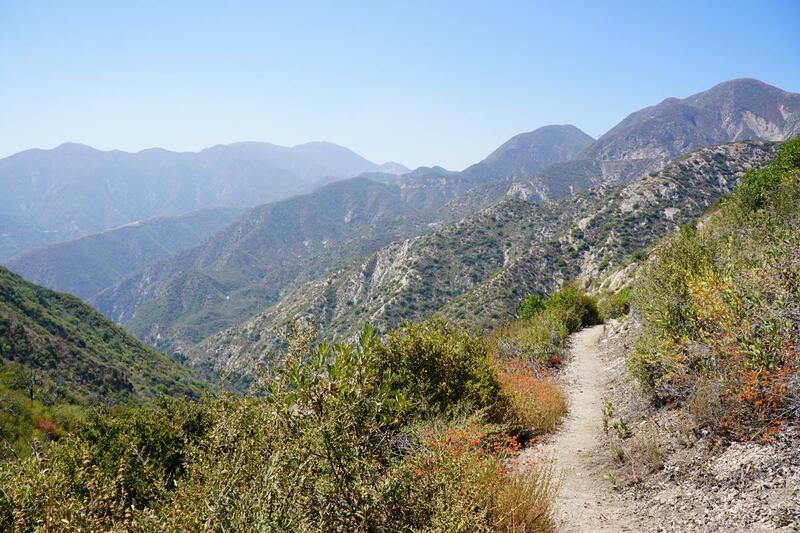 Trail Users Celebrate: The Gabrielino National Recreation Trail is Back! 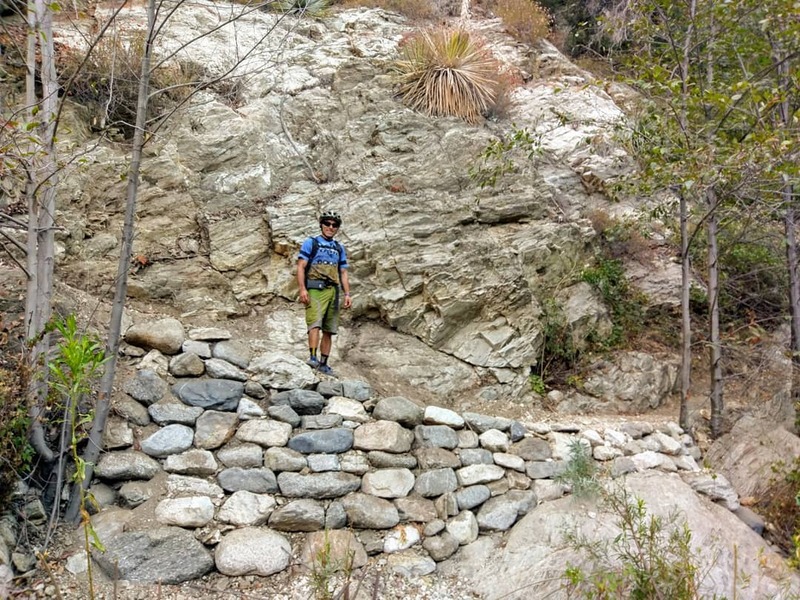 Nine years later, almost to the day, mountain biking volunteers have completed restoration of the Gabrielino National Recreation Trail through the Arroyo Seco canyon. 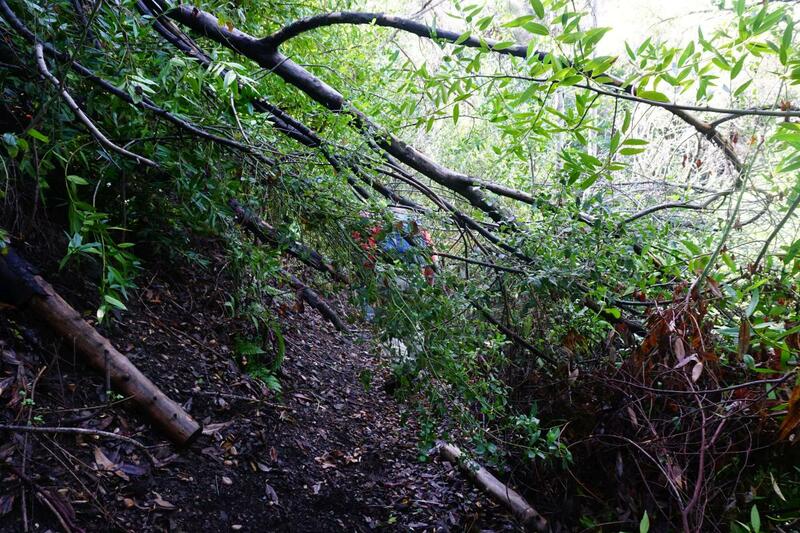 This popular section was one of the most heavily damaged by the El Niño rains that flash-flooded the ashen canyon after the Station Fire, taking with it huge sections of the trail and forest. With the extreme damage, this was to be our most ambitious project and the final trail restoration effort from the 2009 Station Fire. With the area completely closed to the public for more than seven years following the fire, the trail was choked off. 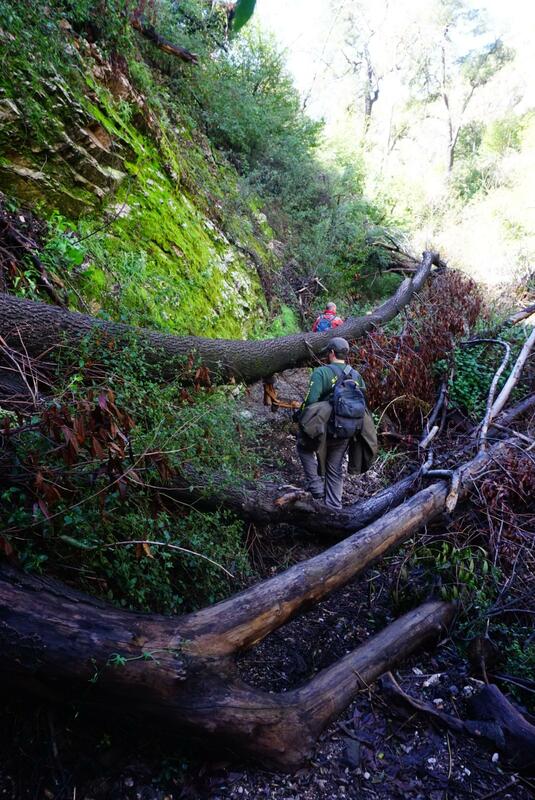 Hundreds of burned trees had fallen across the trail and several retaining walls had failed. When people began venturing into the area, in many places there was no trail, so people began using the stream bed. 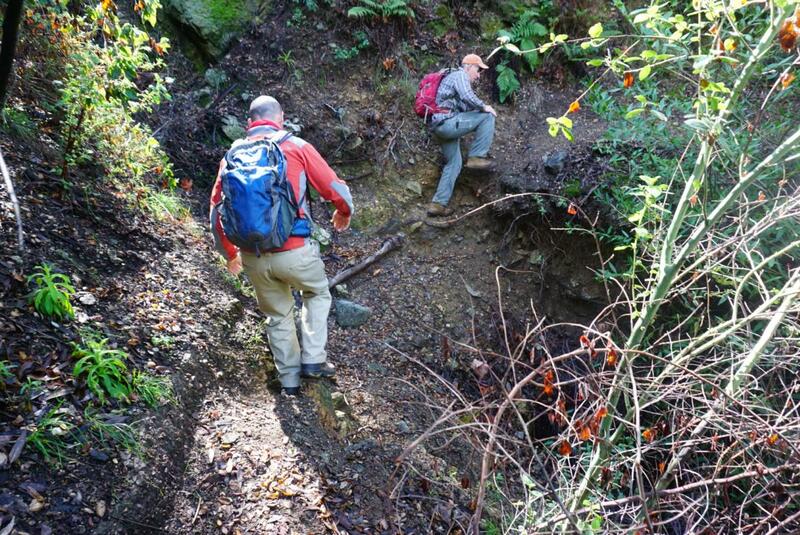 In February 2016, Messer hiked the Arroyo Seco section of the Gabrielino Trail with Forest Service officials and others to do an assessment and begin plans to restore the trail. It was an arduous journey, climbing over and under downed trees and thick brush, scrambling across debris fields where there was once a trail, and precariously shimmying along what used to be the trail tread. After lengthy environmental reviews, the restoration project began in earnest in late 2017. 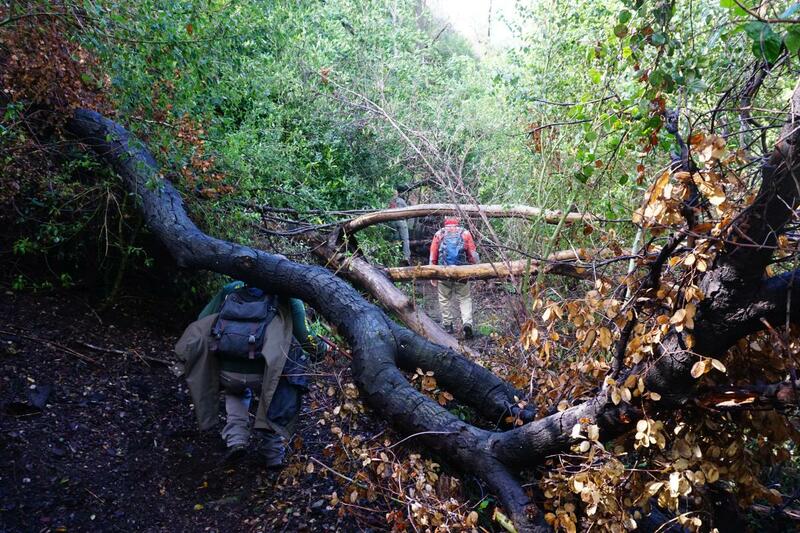 Six volunteer chainsaw operators worked for two days to get the trail corridor opened enough to begin tread work. Downed trees were a constant challenge, and several sections required extensive additional chainsawing through log-jams. It took dozens of bob trailer-runs to get tools in place. Volunteers faced round-trip rides or hikes of ten to twelve miles to get to and from the work site. Some sections of the trail were restored that had failed long before the Station Fire. The Mount Wilson Bicycling Association (MWBA) led monthly volunteer work days on the trail from November to July. Several volunteer work days were sponsored by local bike shops including Incycle, Pasadena Cyclery, Golden Saddle Cyclery and Montrose Cyclery. There was so much enthusiasm for the project that a few days there were more volunteers than tools. 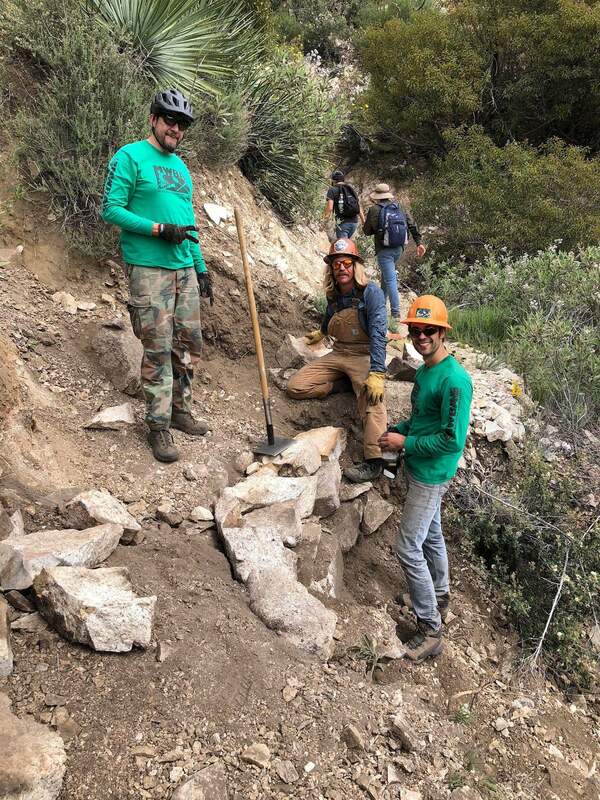 Generous grants from REI and Southern California Edison enabled CORBA to hire professional trail builders, Bellfree Contractors, to complete some of the more technical work. By far, the majority of the work was done by 102 dedicated volunteers on 283 volunteer days. The 1,900 volunteer hours equates to over $60,000 in value to the Forest Service. 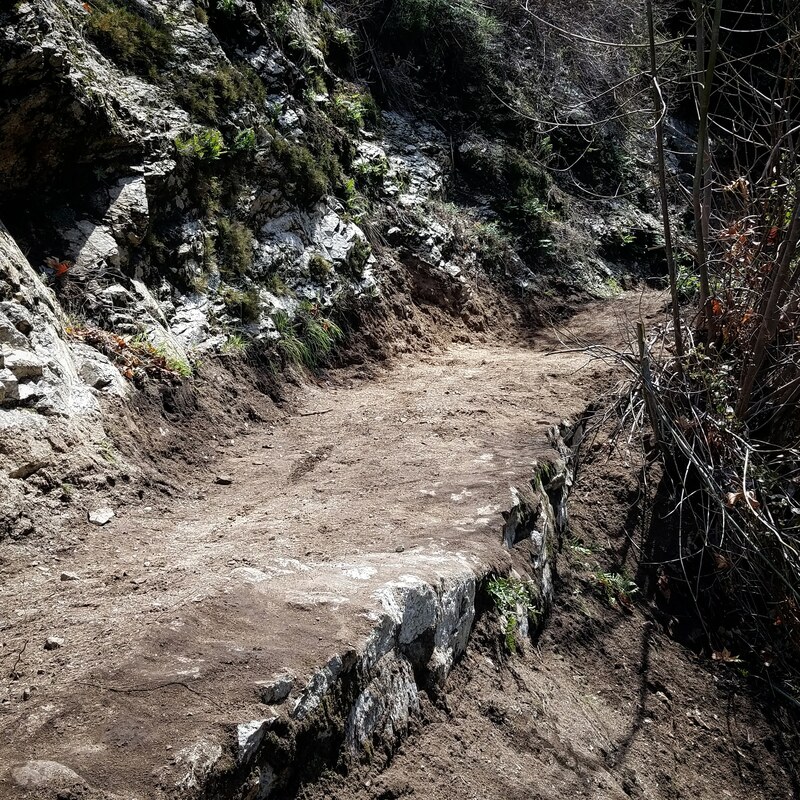 The final work was completed this week with the trail restored to its original alignment. Trail Closed signs had been in place at either end of the canyon since 2009. The signs were taken down this week. 90 year old masonry by the CCC. The volunteers were delighted to uncover masonry work done by the Civilian Conservation Corps in the 1930s when the original trail was upgraded at the height of the Great Hiking Era. The enthusiasm of the volunteers and dedication of the MWBA was crucial, as section by section the trail was restored to its former glory. In between group volunteer work days, trail bosses spent several days flagging and preparing the next section of trail to be worked on. A volunteer appreciation celebration has been organized by the Mount Wilson Bicycling Association in Loma Alta Park in Altadena. The date is set for Sunday, September 2nd, from noon to 3 p.m. CORBA, the Forest Service, REI, local bike shops and clubs will all be on hand. Many groups are planning to ride, hike, run, bikepack or backpack the trail in the days leading up to the celebration. CORBA has been proud and honored to work so closely with MWBA and the Forest Service to help rebuild this historic and important trail. We are very grateful to REI and Southern California Edison for the grants in support of the project. CORBA extends our sincere thanks to all the volunteer groups who maintain other sections of this 26-mile trail, including the Boy Scouts, the Sierra Club, the AC100, the Angeles National Forest 50 trail runners and the Haramokngna Native American Cultural Center. 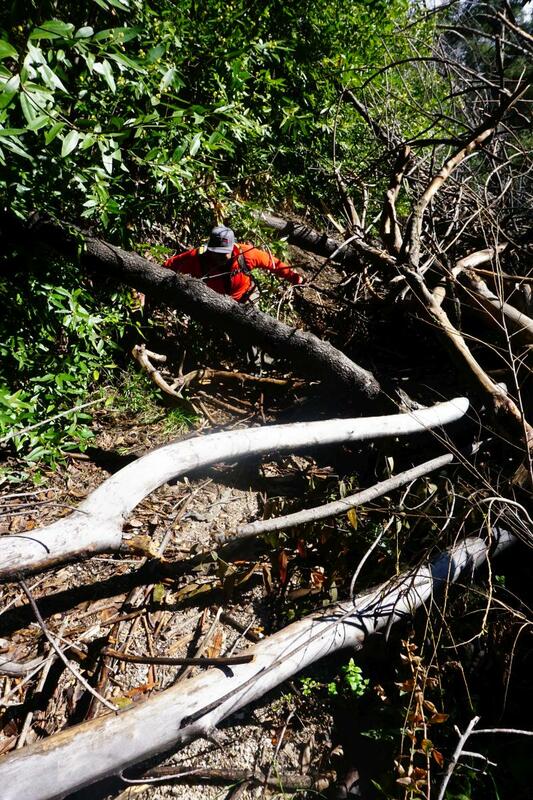 We are now making plans to help restore trails damaged by the Sand Fire in Santa Clarita. Please join us and bring your friends. Photos of the trail taken this week. This entry was posted on Friday, August 24th, 2018 at 6:40 am and is filed under Angeles National Forest, San Gabriel Mountains, Trail Building and Restoration, Trail Crew. You can follow any responses to this entry through the RSS 2.0 feed. You can leave a response, or trackback from your own site. Thanks so much for the trail restoration. My club cant wait to hike the whole thing from end to the other. Great job.